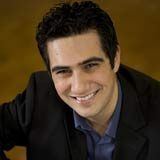 Winner of the 2006 Australian National Piano Award, pianist Amir Farid has been described as “a highly creative musician – a pianist of great intelligence and integrity. He brings strong musical substance to all that he does, imbuing it with his own particular experience and understanding”, and who “in a well-populated field…distinguishes himself for all the right reasons”. In 2004 Amir completed his B.Mus (Hon) at the University of Melbourne under the guidance of Ronald Farren-Price, and later attended the Australian National Academy of Music (ANAM), studying with Rita Reichman, Geoffrey Tozer and Timothy Young. In 2009, he graduated with distinction as a Scholar supported by the Gordon Calway Stone Memorial Award at the Royal College of Music London, studying with Andrew Ball. He has performed concerti with the Sydney Symphony, Melbourne Symphony, Melbourne Chamber Orchestra, Orchestra Victoria, Melbourne Youth and ANAM Orchestras, including Rachmaninoff’s 2nd Piano Concerto at the Sidney Myer Music Bowl with the Melbourne Symphony in front of a capacity 13,000 strong crowd. As a chamber musician, Amir is pianist of the acclaimed Benaud Trio (www.benaudtrio.com), winning the Piano Trio prize at the 2005 Australian Chamber Music Competition, and with whom he undertook a residency at the Banff Centre for the Arts in Canada. They are currently musicians-in-residence at 3MBS FM. As an accompanist, he was winner of the prize for best pianist at the 2006 Mietta Song Recital award, and the 2007 Geoffrey Parsons Award. Amir is the recipient of various awards and scholarships, including the Australian Music Foundation, the Ian Potter Cultural Trust, the Royal Overseas League, the Swiss Global Artistic Foundation and the Tait Memorial Trust.